Reprinted with permission from “No irredeemable people | An interview with Sita Lozoff” by Leslee Goodman, 2017. Moon Magazine. COPYRIGHT 2018 by Moon Magazine. 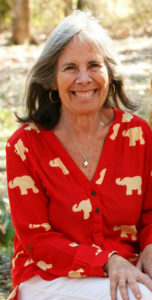 Sita Lozoff is the spiritual director of Human Kindness Foundation, whose primary work is the Prison-Ashram Project. The project encourages incarcerated men and women to use their time in prison for spiritual growth, as if they were living in an ashram. Sita and her late husband, Bo, began the Prison-Ashram Project in 1973, as part of spiritual leader Ram Dass’s Hanuman Foundation. In 1987 they founded Human Kindness Foundation to continue the work. Over the last 40 years, the Human Kindness Foundation has published and distributed spiritual books by Bo Lozoff and others. The books are free for men and women behind bars. Bo’s book, We’re All Doing Time, which the Village Voice called one of the 10 books everyone in the world should read, is in its 21st printing, with half a million copies in print. Other books include Deep and Simple, It’s a Meaningful Life, Just Another Spiritual Book, Lineage & Other Stories, and two children’s books, The Wonderful Life of a Fly Who Couldn’t Fly, and Little Boy in the Land of Rhyme (all available at www.humankindness.org/shop/). The staff and volunteers of the Human Kindness Foundation also respond to the letters they receive from inmates seeking help with the challenges they face walking the spiritual path in a place as unsupportive and frequently hostile as prison. They share some of these letters in a newsletter, A Little Good News, which comes out three times a year, and is sent to prisoners, friends, and supporters. The books and newsletters have also helped many non-incarcerated readers—including this writer—on their spiritual journey. The books are interfaith, advocating no path to God over another, but instead focusing on the often difficult work of taking responsibility for our actions, loving our neighbors, and forgiving those we believe have wronged us. The MOON: How did you and Bo meet? Lozoff: I was a student at the University of Miami in 1965. He was recovering from a head-on car collision that almost took his life. He’d fallen asleep at the wheel and driven head-on into a Mack truck. He attributed his survival to the fact that he was a healthy bodybuilder; nevertheless, it took him years to recover and he had lifelong back pain as a result of that accident. His family was from Miami, so he was living there while he recuperated. On this particular day, he was driving by and saw me. The rest, as they say, is history. (Laughs.) We had some karmic work to do together I guess. He was 19 and I was 21 when we met, more than 50 years ago! We married a year later. The MOON: How did you come to devote your life to the work of redeeming convicts? Lozoff: In 1973, Ram Dass was sending his famous spiritual book, Be Here Now, into prison libraries all over the country. That same year, our brother-in-law, Pete, received a sentence of 12 to 40 years for smuggling marijuana from Jamaica. That may seem like a harsh sentence, but Pete had been given probation the first time he was arrested, got caught doing the exact same thing and came before the same judge, who was angry that he’d shown leniency once and Pete hadn’t learned his lesson. So he sentenced him to federal prison in Terre Haute, Indiana. Pete actually served five years. When Bo and I visited him in prison, we realized that he was leading an ascetic life rather similar to the one we were living at an ashram in North Carolina. We encouraged Pete to use his sentence as an opportunity for spiritual growth and to be of service and we gave him a copy of Be Here Now. Bo and I had been so inspired after reading Be Here Now that we invited Ram Dass to speak at Duke University in Durham, North Carolina. That was in December 1973. Ram Dass told us he was getting letters from men in prison who had read the book and that he was overwhelmed by the prospect of responding to them all. After visiting Pete, Bo said that he felt drawn to serving inmates, so Ram Dass said, “Why don’t you take these letters?” That’s how the Prison-Ashram Project was born—as a project of the Hanuman Foundation, Ram Dass’s foundation. By 1987, we’d grown so large that we formed our own foundation, Human Kindness Foundation, and focused solely on responding to letters from inmates, teaching yoga and meditation in prisons, writing spiritual books and sending them to inmates, and preparing inmates for leading a life of service—whether they ever got out of prison or not. We’d come to North Carolina when we were a young family—our son was a year old—and were looking for the place we felt called to settle and begin our life’s work. Bo had written a letter to Dr. J.B. Rhine, who’d coined the phrase ESP for “extra-sensory perception” and whose research foundation was located in Durham. Bo was interested in ESP, so when Dr. Rhine wrote back suggesting we join his community here, we moved to Durham. Prior to that we were basically hippies—traveling the country, looking for a home after we were married in 1966. Bo’s brother Mike worked in northern Georgia, organizing women who worked for Levi Strauss, which had a factory there. It was a company town that pretty much exploited its workers. Mike invited Bo to help him with his organizing work, which is how we came to be in San Francisco for the Summer of Love in 1967. We went to ask Jefferson Airplane, who had just done a commercial for Levi Strauss, to consider supporting our work and to make an anti-Levi commercial in solidarity with the women who were organizing in Georgia. That didn’t quite work out, however. [Laughs.] Nevertheless, it got us to San Francisco in 1967, where we became very taken with the whole “Peace, Love” movement. We brought it back to Atlanta, Georgia, in fact, opening the first ”head shop” in the South. Hippies were not very welcome or treated very well in the South, which prompted us to become a little more political and a little more spiritual. The MOON: Will you tell us a bit about your spiritual journey? So that was the context in which we read Ram Dass’s Be Here Now. Ram Dass, we felt, put our own LSD experiences into words. He became our first spiritual teacher, showing us a way to experience God without the use of LSD. I just want to say that, at this point in my life, fifty years after beginning the Eastern practices Ram Dass introduced to us, I feel as connected to Christianity as I do to Eastern religions. I love Christ. I believe in the resurrection. I also love St. Francis. I just finished reading Kazantzakis’ St. Francis, which I’d recommend to anyone, of any faith. It is deeply moving; I’ve read it three or four times now. Kazantzakis says, “God is an abyss. Jump!” I love that. To me it’s a reminder to have the courage to take that leap of faith when appropriate. The MOON:  What draws you to Christianity at this point in your life? Lozoff: When my guru, the Indian saint, Neem Karoli Baba, was asked how Christ meditated, with tears rolling down his face he replied: “He lost himself in love.” When I was leading a workshop at San Quentin a couple of years ago, and an inmate there asked me what I thought was Bo’s favorite saying of Christ’s, I could easily reply, “Love one another as I have loved you.” I experience Christ as love, and I think that about sums up the heart of our work and my life’s calling which is to share that divine love with people who feel unlovable. The MOON: Please tell us more about your prison experiences. Lozoff: The first time I ever went into a prison—accompanying Bo at one of his workshops—I felt as comfortable as if I was in my own living room—which is not the usual way people feel inside a prison. I’m a middle-class Jewish girl from Philadelphia who has now been in hundreds of prisons, and I’ve always felt safe and comfortable as soon as I’ve looked around and connected with the people there. The only way I can account for this is through reincarnation. I have no other explanation for why I instantly felt at home. Bo and I surmised that we may have shared a cell together in one of our past lives. Why else would we both be so moved by prison work that it became our life’s calling, almost immediately? The MOON: Sita, that brings tears to my eyes…that you and Bo were sensitive to the profound possibilities of this life…that most of us are oblivious to. Will you talk a bit about the misconceptions Americans may have about people behind bars? It seems to me that most people have closed their hearts to them. The United States incarcerates more people per capita than any other country, even though our crime rates have been declining—consistently and dramatically—for years. And the amount spent on prison rehabilitation programs has also fallen, so that now prisons are essentially warehouses where convicts must spend a certain amount of time. We don’t seem to believe in the likelihood of rehabilitation, let alone transformation, which is what your life’s work has been about. Lozoff: Yes, but I believe there may be a tidal shift happening in public opinion. The wonderful documentary by Ava Duvernay, 13th, Michelle Alexander’s book The New Jim Crow, and Black Lives Matter demonstrations have caught the public’s attention. There are many resources available now about wrongful convictions and unjustly harsh sentences, and we’re so grateful to the people and groups who are working to raise awareness of those facts. When Bo used to travel around the country to speak at various churches, he’d remind his audiences that most of the people in prison are going to get out, and if we treat them like animals for years or decades when they’re behind bars, what are they going to act like when they’re released? They aren’t likely to have become better people. Transformation is strongly connected to treating people with kindness. That’s the only way they’re going to learn to treat other people the same. The Human Kindness Foundation has printed and distributed almost half a million copies of Bo’s main book, We’re All Doing Time. Because of the way books are shared in prisons, I feel confident that at least a million inmates have read the book. I know from the letters we receive and the work we’ve done inside prisons that there are people inside who want to change, and a great many who succeed. I don’t know whether these inmates will continue to meditate when they get out, or go to church, or continue with some kind of spiritual practice, but I would say that most of the people who have been touched by our work are going to stop hurting people. If they can do that, after all of the abuse and pain they have experienced in their lives, that is tremendous progress for one lifetime. You cannot even imagine the suffering of some of the stories I’ve heard. But people want to change. They want to feel good. That comes from changing your heart and learning to be kind. The MOON: I’m always blown away by the accounts you share in your newsletter, A Little Good News, of Bo calling upon inmates to “be love in action,” despite what it might cost them personally in the violent environment they’re living in. Lozoff: Right. Years ago, in the mid-90s, the Dalai Lama invited us to Dharamsala to talk about our prison work. Bo had received a letter from a young man in a dorm situation asking whether he should risk his life to prevent another inmate from being raped. Bo didn’t feel comfortable taking on the responsibility for this young man’s decision, and so he subsequently wrote to three spiritual leaders, including the Dalai Lama, who was the only one who wrote him back. His Holiness invited us to India for a conversation. That was my first trip to India, although I’ve since been three more times. The Dalai Lama never definitively answered that question for us, although His Holiness does feel deeply that happiness comes from looking outside oneself, by being kind and helpful to others. A very recent book of his, The Book of Joy, consists of conversations between himself and Archbishop Desmond Tutu. He says over and over again that kindness is the key to any religion. The MOON: What is it about your own spiritual path that made you want to recommend it to others? Lozoff: What has worked for me are three core principles for a happy and fulfilled life. Not necessarily an easy life; but a happy and fulfilled one. The first is simple living: taking only what you need; not being caught up in the drama of never-ending wants and “must haves.” The second is a commitment to some kind of spiritual practice—whether that be prayer, meditation, yoga, reading spiritual books, whatever inspires you. And the third is a commitment to service—finding some way that you can help ease the suffering of this world. I personally have found that this formula works, which is why I’m comfortable recommending it to others. The MOON: Even though it puts you in contact with people who may be dangerous, or angry, or whose suffering you share because you care for them, or who are in horrible circumstances you’re not able to change? Lozoff: First, I’ve never felt in danger in all these years; not even once. As for the suffering, yes. Particularly in the beginning, it was difficult not to become caught up in the others’ suffering. Ram Dass recommended a practice that has been helpful. That is, to consider the snow on the mountaintops, representing the perfection of God’s world, and the blood at our feet, representing the suffering all around us. He said that our job was to maintain connection with both. If I stay too much in the perfection, I’m being too aloof, and yet if I stay too much in the blood at my feet, I have nothing to offer the inmate who has written me for spiritual help. So it’s a practice to maintain the balance, to keep our eyes on both. In fact, it’s been my main spiritual practice for 40-something years. It’s a pretty amazing practice. It’s true there are times that I’ve read a letter so painful and horrific that I’ve had to put it down for a while. I cried over a letter just this morning. Yet, I do know that there is also perfection in this world, which is one of the reasons I’m so immersed in The Book of Joy right now, because these two men—the Dalai Lama and Archbishop Desmond Tutu—have truly been through hell; yet they are telling us that you can find and live in joy even though the world is filled with so much suffering. I’m working on being that same kind of example. The MOON: When I read A Little Good News I’m also impressed how you and your staff are able to comfort and encourage inmates without taking one ounce of responsibility from them for the crimes they’ve committed. How do you walk that line? Lozoff: I try to practice and teach what the Buddha called “The Two Bright Guardians”—Hri and Onappa. Hri means taking responsibility and feeling remorse for the harm one has done in this world, and reconnecting with our goodness and decency. Onappa means making a commitment to not doing any more harm. This is something we talk a lot about with inmates. The MOON: Will you talk a bit about the spiritual work of forgiveness and reconciliation? Lozoff: For the last three years, our executive director, Catherine Dumas, and I have been meeting monthly with about a dozen men on death row. When Arkansas executed four men recently, these death row inmates came in and sat down with us, angry and fearful, but by the end of our meeting we were sending love and forgiveness to the executioners and to all the people who were suffering as a result of the executions. So this is profound, powerful, and healing work. There’s nothing I’d rather be doing. These inmates have found that forgiveness has the power to change their own hearts. They forgive because they realize how much better it is—for them! It’s what the Dalai Lama calls “wise selfishness.” As a result of their ability to forgive, all of their relationships have been transformed. Their relationships with their families, with other inmates, with the guards. Forgiveness has become a key to their own happiness. These men have found that holding onto anger and bitterness is toxic. We all know that. What does anger and bitterness feel like in our bodies? It’s horrible. And what does love feel like, bodily? It’s heaven. So it takes a bit of courage to try, but the rewards are worth it. That’s why these guys keep coming back to our group. And, although there hasn’t been an execution in this state (North Carolina) in more than 10 years, one of the men in our group, who’s a Buddhist, was scheduled to be executed in a week when the moratorium came down. He told the group that when the warden came to him with his execution date, he felt compassion for the warden! Imagine that! Like the other men in the group, he has found peace and happiness even though he’s not likely to ever see the outside world again. Even if the death penalty moratorium holds, these inmates will die of old age on death row. There was a situation in my own personal life where I can honestly say that walking through that door of active forgiveness gave me the opportunity to grow in ways that have impacted my own spiritual journey, as well as the people I come in contact with. Forgiveness doesn’t mean excusing behavior or letting someone get away with something. My guru used to say, “Do what you will with people, but don’t put anyone out of your heart.” So we can forgive and still stand up to people when necessary. The MOON: I’m trying to understand the specifics of this practice that has helped you and the death-row group to understand the benefits of forgiveness. Lozoff: God gives us all the lessons we need to work out; we don’t have to go looking for them. So for the men on death row, there may be a guard who is giving them a rough time, and maybe alone in their cell they picture this guard and send him kind thoughts. Or there may be another inmate really giving them a hard time. Perhaps they have ”lost it” and become angry with this person. They might bring the experience to our group meeting, and the whole group will then discuss how the situation might have been handled differently—so that they each leave with an expanded repertoire of options for dealing with the situations that present themselves. Mindfulness practice can give each of us a second or two before reacting so that we can respond more skillfully. After three years of doing this practice together, many of the men have had the experience of making a wiser choice than they might have previously. Seeing their own progress encourages them to continue. Their conversations are pretty mind-blowing. Every person in this group has done something really horrible, yet they are willing to examine themselves and their behavior and sincerely work at being better people going forward. So God brings them—brings all of us—opportunities to examine ourselves. To me the answer always has to do with love; how do we bring more love and kindness to every situation we encounter in our lives? The MOON: Let’s bring our focus back to the larger community who just wants to “get these inmates out of our sight.” Don’t we have spiritual work to do, as well? What do you think might change the hearts of the greater community towards people inside? As a recipient of your newsletter, I’m frequently inspired by the example of those on the inside who have it so much harder than I do. I feel that if they can make the journey to forgiveness and love then I certainly should be able to. Lozoff: It’s a question of opening hearts. The growth of volunteer opportunities inside prisons and articles like this one are a great place to start. When we meet people who are incarcerated or hear their personal stories, we can connect with them as people and open our hearts to them. Just as you’re inspired when you read our newsletter, others might be touched when they hear, for example, that a man who was convicted of murder witnessed a murder when he was a small child and had no support for recovering from that trauma. Or that a convicted drug dealer started selling drugs at age 12 to keep his family from being homeless. Ram Dass used to say about the people inside, “If they can do the spiritual work of forgiveness and love in spite of the hostility they experience every day, they can purify a tremendous amount of negative karma over the course of their prison sentence.” I absolutely believe that’s true, and I’ve seen person after person do it, in very difficult circumstances. The MOON: That brings me to a personal question. Over the years, Bo has always been the more visible member of your team. Since his passing, you’ve stepped up to take on some of that role. Will you tell us a bit about being the invisible partner? Do you feel that was part of your traditional role as a woman, or just your personal style and comfort zone? Lozoff: I think our division of labor was completely appropriate. Since Bo’s passing I’ve felt even more strongly, “Thank God he wrote the books and did the work he did,” because I’m just not able to articulate these spiritual truths as powerfully as he did. I really wish I could. Sometimes it makes me cry because I want so much to be able to help someone, but I just feel at a loss to communicate in a way that will make a difference. Thank God I can send them one of Bo’s books. At the same time, I feel that as a result of my nearly 50 years of spiritual work I have become an elder. I’m comfortable in that role, which I carry into my prison work as well. I have something to offer inmates, and it has to do with presence. I sincerely feel deep love and affection for my dear friends inside, and I believe that they can feel it. The MOON: Yes. I have read inmates describing you in that way—that your presence is very reassuring and healing to them. Lozoff: There is one inmate I’ve come to know over the years who says he calls me just to hear my voice. I’m grateful. Bo had the words; my gift is different. But Bo’s books are out there and hopefully my presence is enough. 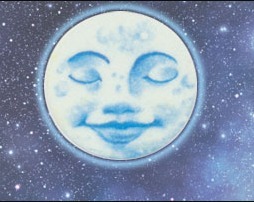 The MOON: Do you “hear” from Bo regularly even though he is not here physically? Do you feel as if you’re still in partnership? Lozoff: I’ll read to you something Ram Dass wrote about losing someone very close to you: “You will start to feel in your heart, if you can listen very carefully, a very deep and profound, loving connection that is very living. It’s not just a memory, but a living truth that will nurture you.” I actually have chills just reading that to you. I feel as if I have a living and present connection to Bo. I can’t say I’ve had mystical experiences or visions about him, but I’m sitting here looking at his picture and I feel that he is with me. He’s at my side as the spiritual director of Human Kindness Foundation, and we’re continuing to help others. We still get hundreds of letters from people inside who are hoping that someone will read and respond to their cry for help. I feel so fortunate that I get to open those letters and respond with love.